Roach is a fourth year English student at SFU, a Communications Coordinator for SFU’s Vancity Office of Community Engagement, and a former news journalist. She’s also one of 11 students who participated in the President’s Dream Colloquium on Making Knowledge Public with me last fall. Part public speaker series, part seminar course, the colloquium brought together students from across the university in a wide-ranging exploration of how research makes its way into society. Over the course of the semester, we attended public lectures and seminars with leading experts; added public commentary to our course readings using a tool called Hypothes.is; and produced an eclectic mix of final projects—all of which are publicly available in the Course Journal for Making Knowledge Public. By enrolling in the colloquium, we didn’t just learn about making knowledge public; we actively participated in the process. But the format wasn’t the only thing that made the course unique. With students spanning academic disciplines, education levels, and interests, our cohort was one of the most diverse I’ve ever been a part of. To find out more about how others experienced the colloquium, I interviewed three of my classmates—Melissa Roach, Carina Albrecht, and Kari Gustafson—and asked them for their thoughts on making knowledge public. How did this course differ from other learning experiences you’ve had? KG: “I really enjoyed doing the online reading annotations with hypothes.is. It was a really good learning tool. I could have taken notes for myself on a PDF—annotated things to bring to class to talk about. But somehow having the possibility of actually having the discussion in the same moment that I was reading about it felt really good. What was it like having to do all of your work in public? Did the course change your thinking in any way? MR: Before taking the course, I was of the attitude that my academic work wasn’t really valid unless some other person or publication decided that was worth sharing. To have Juan [Pablo Alperin, the course instructor] say, “Go ahead, post it on the internet. You can do that.” Mind blowing. How do you feel about making knowledge public, now that the course is over? CA: “The course gave me an awareness of my own future. I want to be in academia. But now]I’m going into it with different eyes, especially when it comes to the expectations for tenure and promotion in your career. Learning about those was really a bit of a bummer for me. But it’s better to know before than after. Want to learn more about Making Knowledge Public? All of our course readings, lectures, and assignments are available online for anyone to enjoy. 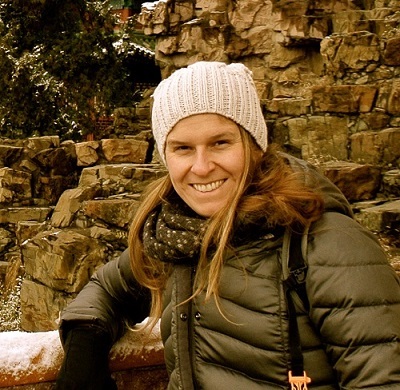 Kari Gustafson is a PhD student in the Faculty of Education, and has an MA in Educational Psychology from Aarhus University in Copenhagen, Denmark. She is especially interested in developmental and cognitive disability and the experience of belonging and meaningful inclusion. She is currently researching roleplaying games like Dungeons & Dragons, and their potential for supporting socially inclusive educational spaces (plus, it's a good excuse to play fun games with her kids). Melissa Roach is a student in SFU's Department of English, a communicator for SFU's Vancity Office of Community Engagement, and a freelance writer based in Vancouver. She is interested in exploring modes of university-community engagement that are based in reciprocity and respect, sharing stories that too often go untold, and walking her sweet pup through the forest. 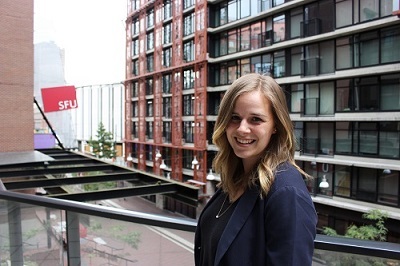 Carina Albrecht is a software developer at the IT Services department and undergraduate student at SFU. She holds a BSc. in Computer Science and will soon graduate with BA in Communication. She wants to pursue a graduate career in critical data studies and critical algorithm theory, and will be starting her MA in Communication this Fall. 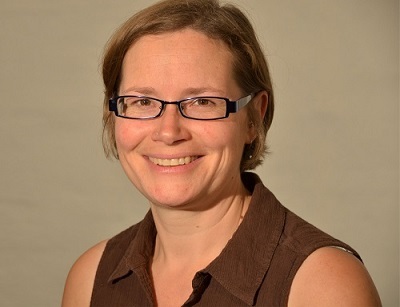 Alice Fleerackers is a researcher at the Scholarly Communications Lab and an editor at Art the Science. She holds a Master's in Publishing and a Bachelor's in Psychology. A freelance writer and editor, she’s had the pleasure of interviewing media specialists, psychologists, anthropologists, and others on everything from cat videos to astrology.